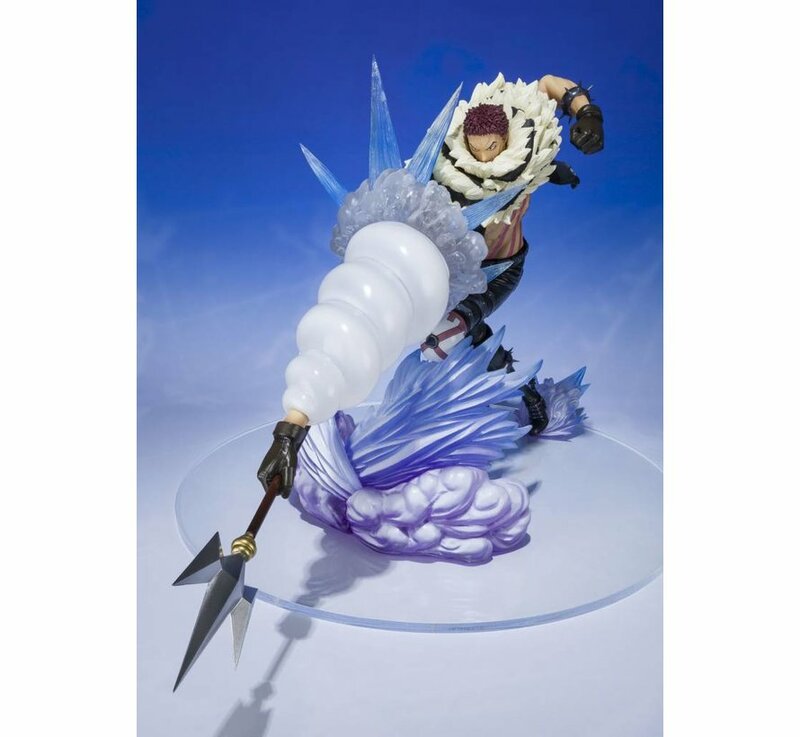 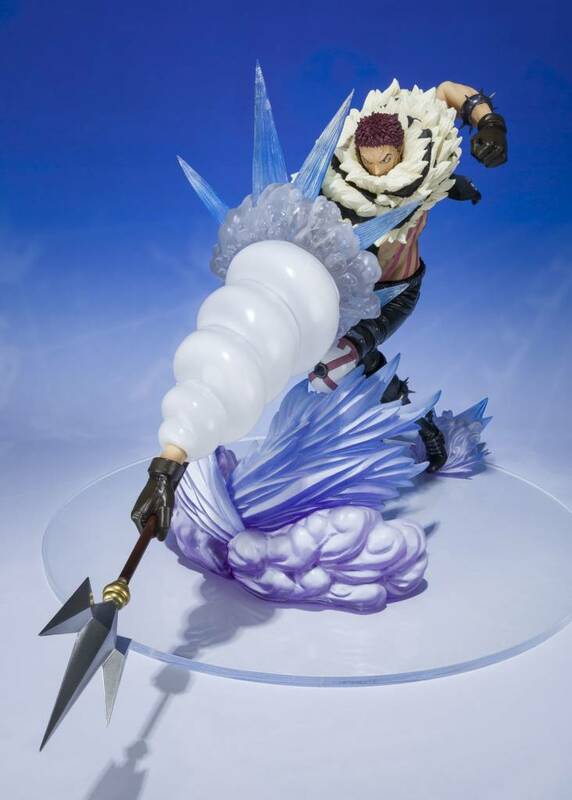 CHARLOTTE KATAKURI -MOCHI TSUKI- "One Piece" FiguartsZERO by Bandai Hobby. 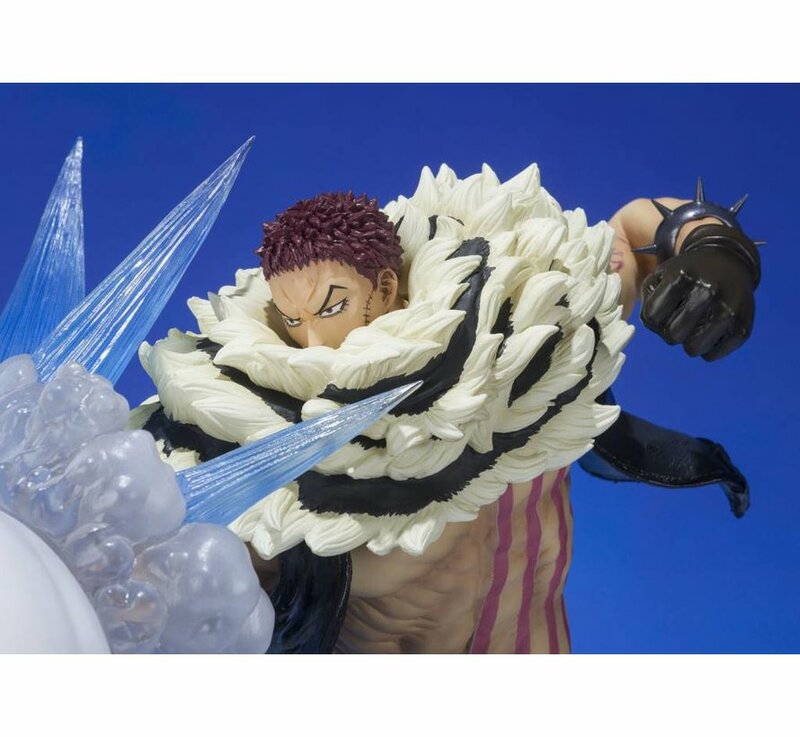 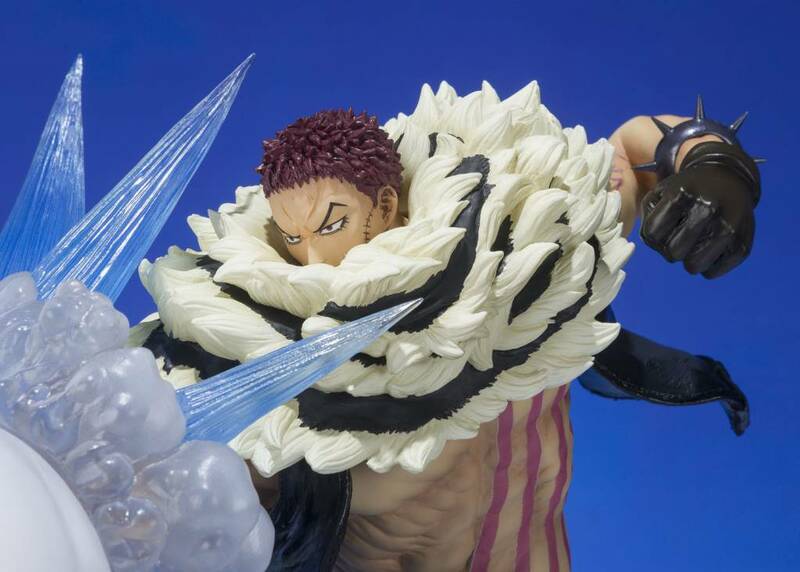 The Chogekisen: EXTRA BATTLE series specializes in dramatic scenes, and this portrayal of Katakuri -Mochi Tsuki-, the epic antagonist of the Whole Cake Island saga, is no exception! 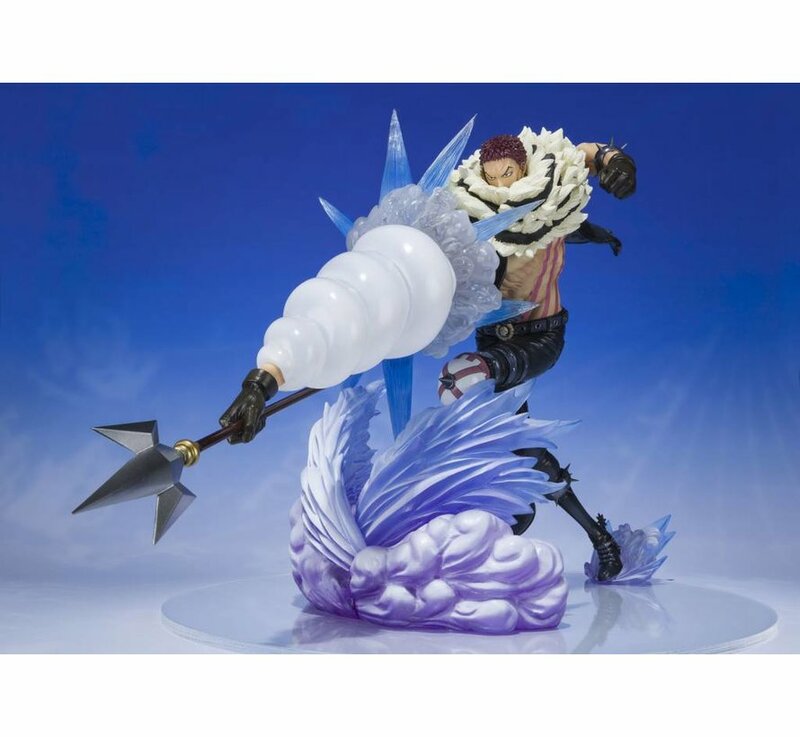 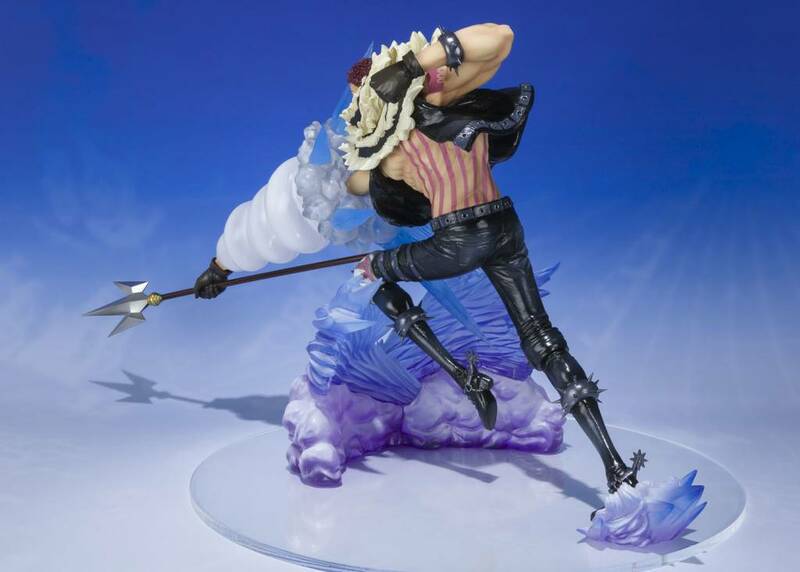 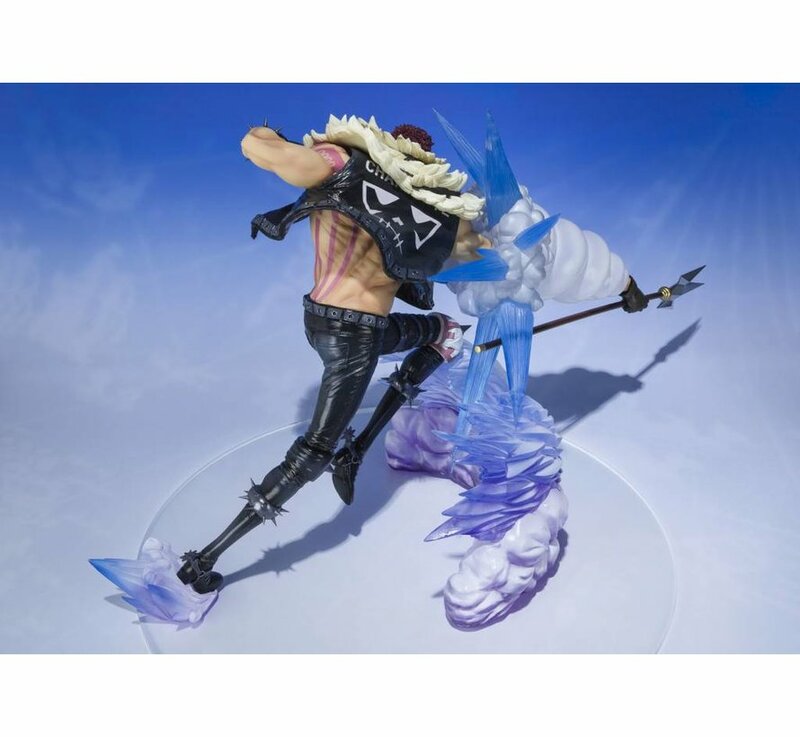 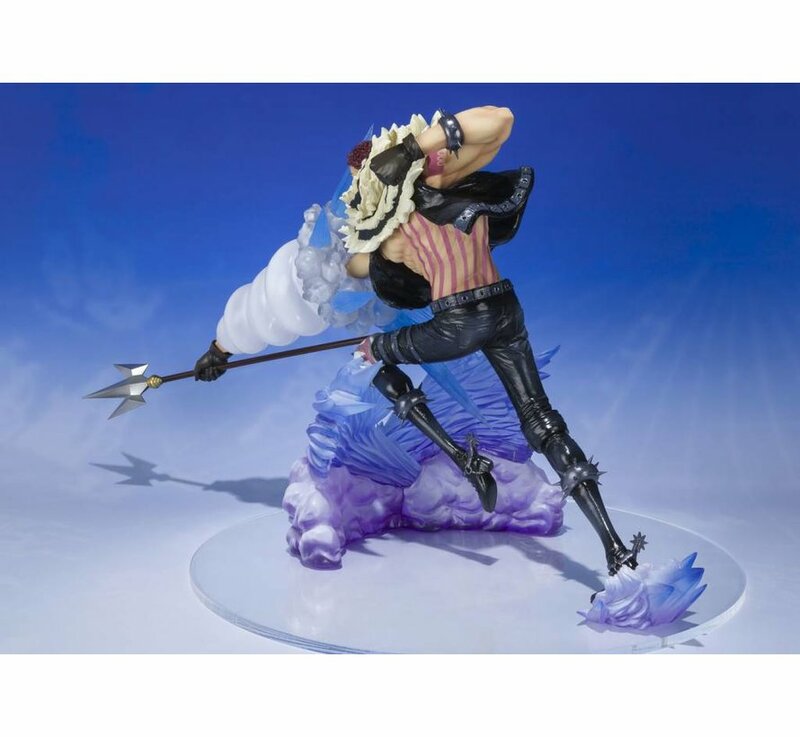 The fixed pose figure utilizes translucent parts to enhance the dynamic pose of the character, re-creating an incredibly high impact scene for One Piece collectors. 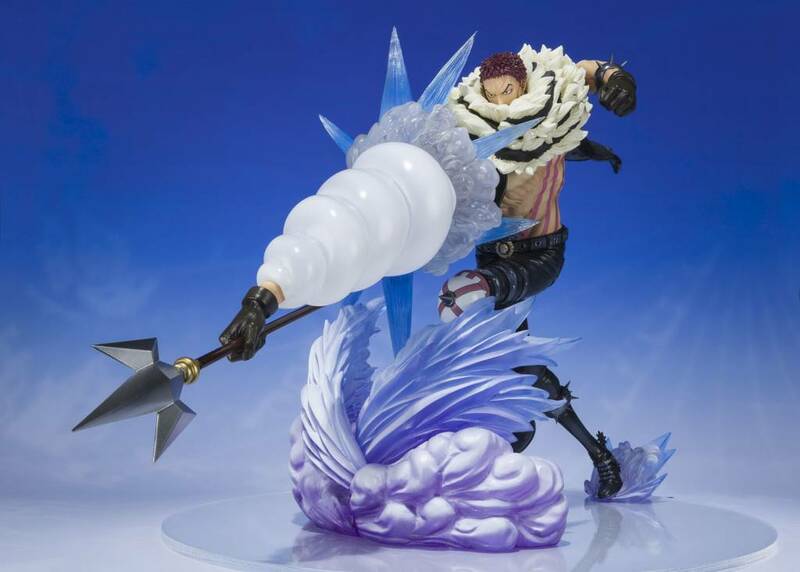 Experience the drama of his drill-arm attacks on your desktop! 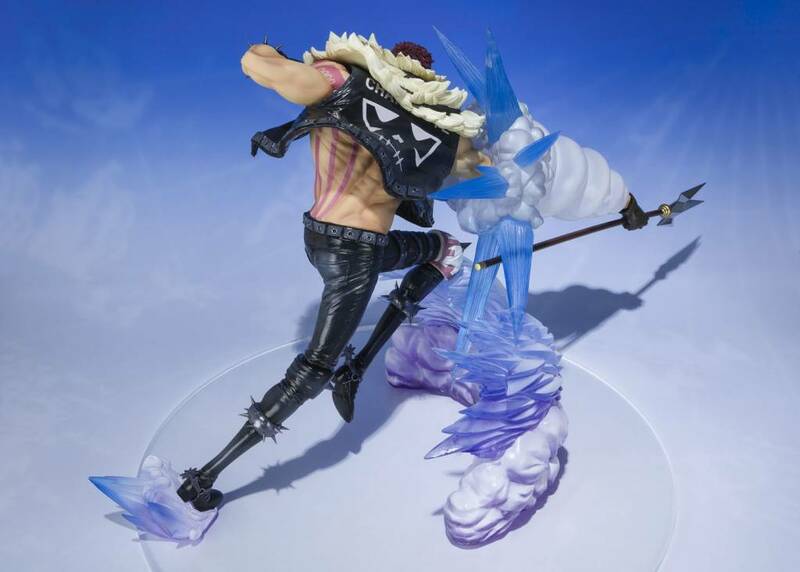 The set includes a stand.